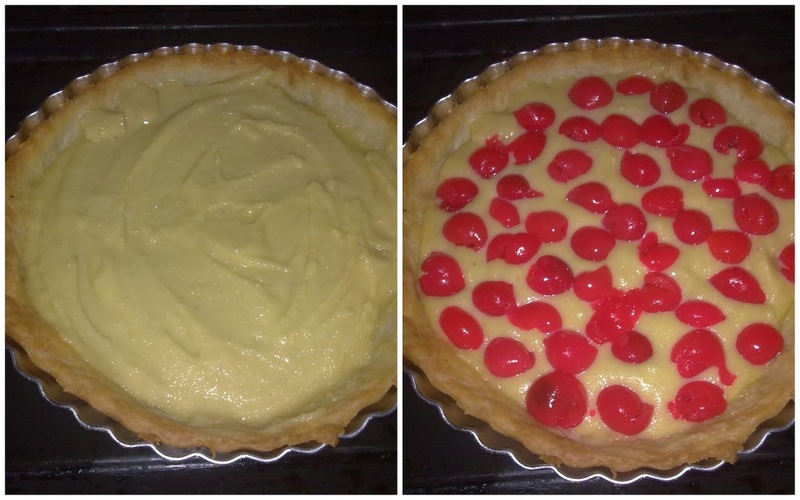 It’s not cherry season now but the tinned cherries I got from my recent trip went into making this cheery tart with a frangipane filling. I used some pastry dough left from making a pie and it was just enough for one little tart shell. Beat the sugar and the butter till pale and fluffy. Add the eggs, the vanilla extract and the grated nutmeg. Fold in the almond flour as well as the all-purpose flour. 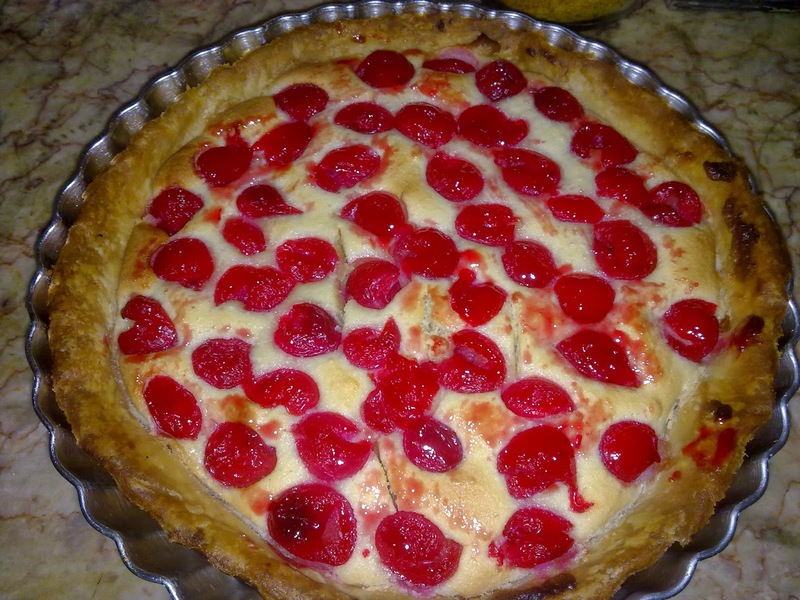 Top with the pitted cherries. Bake in a 170C oven for thirty minutes or until a skewer inserted comes out clean. For the glaze heat some jam (I used a mixed fruit jam) and brush over the cherries. Instead of a skewer I used a knife and regretted doing so as the knife “wounds” showed up in the picture. :( But the taste was so good that I made another the very next day!